List of Papers in International Journals. Abhisekh Songra, Rama Shankar Yadav, Sarsij Tripathi, “Modified Approach For Securing Real Time Application on Clusters”, in International Journal of Security (IJS) vol. 1, no. 1, July, 2007, PP. 32-44, ISSN:1985-2320. Sarsij Tripathi, Rama Shankar Yadav, Ranvijay, Rajib L. Jana, “Resource Management in Real Time Distributed System with Security Constraints: A Review”, International Journal Of Distributed System and Technology (IJDST) IGI Global Publication ,Vol. 2 , Issue2 PP: 38-58 (2011), ISSN: 1947-3532, EISSN: 1947-3540. Sarsij Tripathi & Meenu Madan, “Use of Artificial Neural Network in Stock Exchange Market”, International Journal of Innovations & Advancement in Computer Science IJIACS ISSN 2347 – 8616 Volume 2, Issue 4 March 2014,pp:23-26. Sarsij Tripathi, Rama Shankar Yadav and Rajib Lochan Jana, “Window based security-sensitive scheduling for real-time application on cluster”, 1st International Conference on Parallel Distributed and Grid Computing (PDGC), IEEE, 2010, Solan, PP: 199 – 204, 28-30 Oct. 2010, ISBN: 978-1-4244-7675-6, http:// 10.1109/PDGC.2010.5679893. Rudra Pratap Ojha Rama Shankar Yadav, Sarsij Tripathi, “Secure Real Time Scheduling on Cluster with Energy Minimization” , in 9th International Conference on Quality, Reliability, Security and Robustness in Heterogeneous Networks., QShine 2013, Greader Noida, India, January 11-12, 2013 published in Lecture Notes of the Institute for Computer Sciences, Social Informatics and Telecommunications Engineering Volume 115, 2013, Springerlink, ISBN: 978-3-642-37948-2, pp 904-91. Anurag Shukla and Sarsij Tripathi, “Security in Internet of Things”, 2nd International Conference on Sustainable Computing Techniques in Engineering, Science and Management, 27-28 January 2017 Jain College of Engineering, Belgaum, Near GOA, India. List of Papers in International Conferences/ Book Chapter. Arun Prakash, Sarsij Tripathi, Rajesh Verma, Neeraj Tyagi, Rajeev Tripathi, and Kshirasagar Naik, “A Cross layer Seamless Handover Scheme in IEEE 802.11p based Vehicular Networks,” 3rd International Conference on Contemporary Computing, ’IC3-2010,’ Noida, India, 9-11 August, 2010 in Book Title: Contemporary Computing, Book Series: Communications in Computer and Information Science, 2010, Volume 95, Part 2, PP: 84-95, ISBN: 978-3-642-14825-5, DOI: 10.1007/978-3-642-14825-5_8 (CCIS, Springer – Verlag Berlin Heidelberg). 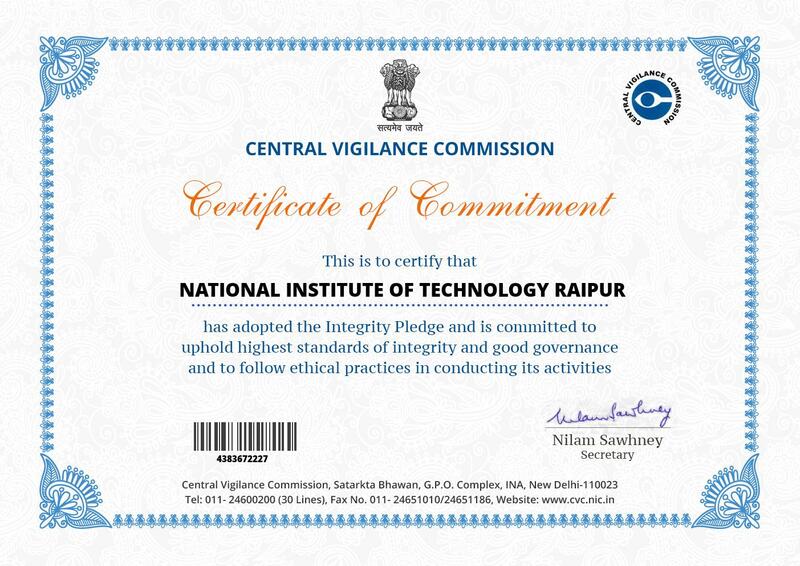 Ph.D.in July 2013 (Computer Science & Engineering) from Motilal Nehru National Institute of Technology, Allahabad. Title of the thesis: “Effective Scheduling of Security Constraints Time critical Applications on Cluster”, under the guidance of Dr. R.S. Yadav, Professor, CSED,MNNIT Allahabad. M.Tech. (Computer Science & Engineering, Gold Medalist) in 2008 from Motilal Nehru National Institute of Technology, Allahabad with 9.5 out of 10 CPI. under the guidance of Dr. R.S. Yadav, Professor, CSED,MNNIT Allahabad. B.E. – Hon’s (Computer Science & Engineering) with 78.87% in 2002 from M.J.P.Rohailkhand University, Bareilly, U.P. 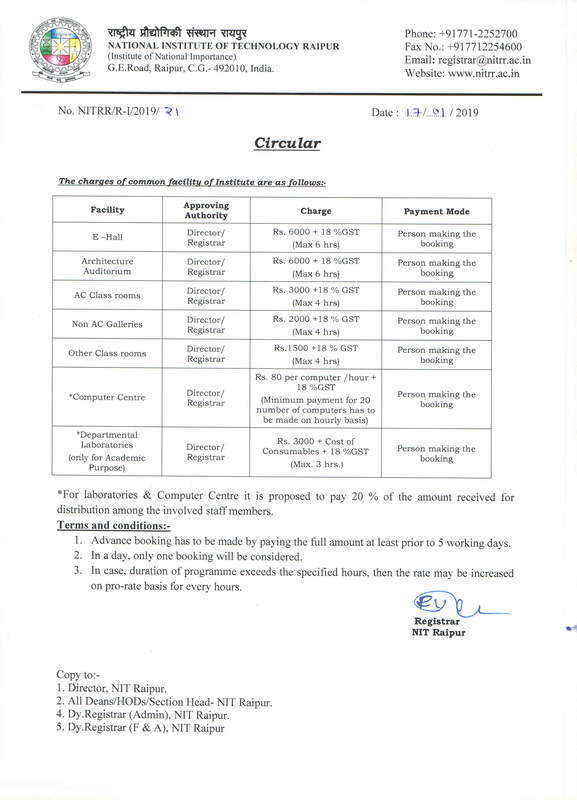 Assistant Professor in Department of Computer Science, National Institute of Technology (NIT), Raipur, Chhattisgarh (May 2015 - Present).